​I have created this page to help you understand the real-life costs of running Sendy on Amazon Web Services (AWS). As a benchmark guide, I reckon many Sendy users could incur annualised AWS charges of approximately £69 (or $72). AWS offers what it calls a FREE tier to new customers. In practice, this FREE tier provides you with various AWS services — including certain server and storage usage* — at no cost for your first 12 months. As such, you have plenty of time to use Sendy and AWS at no (or little) cost before making a decision whether to continue with Sendy/AWS. Furthermore, your other AWS costs — SES and SNS — are likely to be zero, or close to zero, unless you send significant amounts of email. *Limited to the AWS EC2 t2.micro server, up to 30GB of associated EBS storage and up to 1GB of 'snapshot' storage. Here’s how I calculated that £69. Let’s start with the email sending. So you already know that it costs just $1 to send 10,000 newsletters through Amazon SES. But you may not know that, by hosting Sendy on an AWS server, you can send 62,000 emails a month for FREE before you start paying! Note that this FREE 62,000-emails-a-month eligibility does NOT end after your first twelve months at AWS — it is available indefinitely! After sending your first 62,000 emails, AWS then charges $0.10 to send a further 1,000 emails. 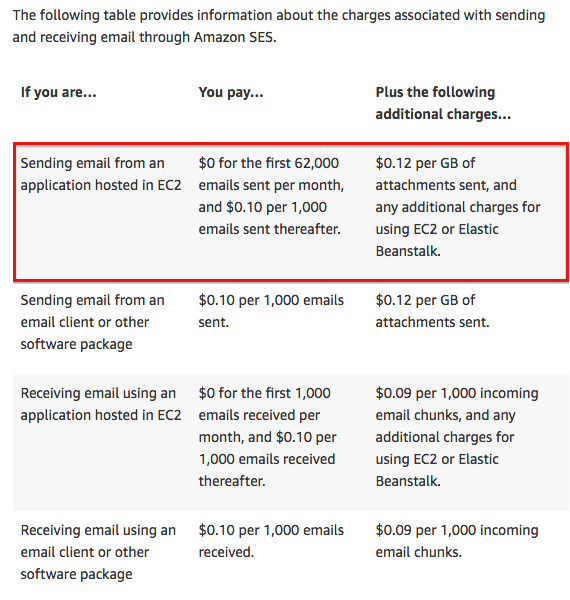 I suspect a lot of us will be sending less than 62,000 emails a month and therefore enjoy an AWS SES cost of zero. But if your lists are long enough to send, say, 75,000 emails a month, I calculate you will pay AWS £1.25 a month including VAT, or £14.98 a year, for the privilege (or $16). For sending 100,000 emails a month, I calculate a yearly cost of £43.78 (or $46). For sending 125,000 email a month, I calculate a yearly cost of £72.58 (or $76). And for sending 150,000 emails a month, I calculate a yearly cost of £101.38 (or $106). AWS EC2 is the service that provides servers (or what AWS calls ‘instances’) that allow you to run Sendy. EC2 pricing comes in four variants: On-Demand, Spot, Reserved and Dedicated. For Sendy, we are interested only in On-Demand and Reserved. On-Demand pricing works by AWS charging you by the hour, and then billing you at the end of the month. Meanwhile, Reserved pricing works by AWS charging you by the year, and works out cheapest if you pay everything upfront. When you get your server up and running with Sendy through my Installing Sendy (and Virtualmin) on AWS guide, AWS defaults to On-Demand pricing. This pricing structure is fine for your first twelve months of FREE server usage. Then, when your first FREE twelve months come to an end, you may wish to switch from On-Demand to Reserved pricing as the running costs will become much lower. (See Purchasing An AWS Reserved Instance for further details). The AWS server you should use to host Sendy is the EC2 t2.micro. The t2.micro is powerful enough to run the vast majority of Sendy installations, and is certainly capable of handling lists of 50,000 names. If your list runs towards 100,000-plus names, I would advise you double-check with Sendy support about whether to employ a larger server. Through its On-Demand pricing structure, AWS charges $0.0126 per hour to run a t2.micro server. AWS defines a month as 750 hours, so every month — after your first FREE twelve months — you will be charged 750 * $0.0126 = $9.45. AWS levies VAT (20%) for UK customers, so in GBP terms you will pay £9.07 a month or £108.86 a year (or $114). Once your first FREE twelve months are up, you can then switch your EC2 server payments to Reserved. This method allows you to pay upfront for either one year or three years. 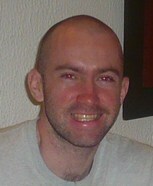 (See Purchasing An AWS Reserved Instance for further details). One year upfront at $72 converts into £69.12 a year including VAT. Three years upfront at $145 converts into £139.20 including VAT, or £46.40 a year (or $49). And that is it for AWS server costs. AWS advises you to employ its data-storage facility alongside your server. This storage facility is called Elastic Block Store (EBS) and it contains a real-time backup copy of your entire server, just in case the server fails. 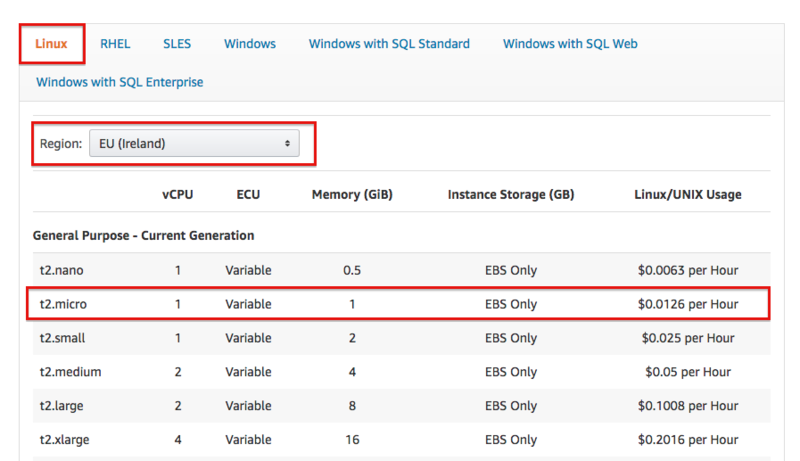 The EBS facility also allows you to create ‘snapshots’ of your server for archive backups. 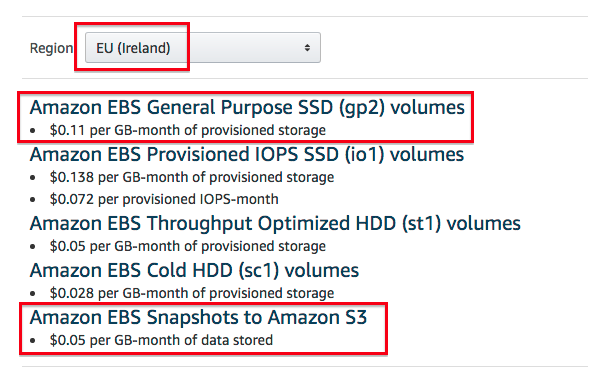 For your first twelve months, AWS can allocate you up to 30GB of EBS for FREE. I reckon 30GB should be plenty even for the largest of Sendy mailing lists. However, the FREE tier provides only 1GB of 'snapshot' storage. So if you plan to store archive copies of your server, you are likely to incur a charge even within the FREE tier. That said, this particular cost is likely to be modest. When your FREE tier 12 months are up, you then pay AWS for all of your EBS and ‘snapshot’ storage. I think most people can run Sendy very easily with an allocated EBS of 15GB. The operating system on your server will use less than 4GB, so leaving you at least 10GB for your Sendy database. An EBS allocation of 15GB at $0.11 per GB a month = 15 * $0.11 = $1.65, which converts to £19.01 a year including VAT (or $20). However, if you wish to go for 30GB — the maximum under the FREE tier — then the cost comes to £38.02 a year including VAT (or $40). The size of an extra ‘snapshot’ is based on how much space has actually been used on your EBS, rather than the entire original allocation. So if your Sendy installation uses 5GB, an additional ‘snapshot’ backup will cost 5 * $0.05 = $0.25 a month. That converts to £2.88 a year including VAT (or $3). A 10GB 'snapshot' backup will cost £5.76 a year including VAT (or $6). Finally we come to AWS SNS pricing. Thankfully these charges are tiny and most of us will pay nothing here anyway. The SNS costs relate to AWS notifying your Sendy software about bounces, complaints, opens, unsubscribes, clicks, and so on. Just how many notifications AWS will issue is difficult to predict, as it not only depends on how many emails you send, but how active your subscribers are as well. In my experience, the notification numbers can sometimes come in at about double the number of emails you send. Sendy utilises the Mobile Push Notifications and HTTP/s categories, and you are only ever likely to pay the HTTP/s charge. The first 100,000 HTTP/s notifications a month are FREE, then you pay just $0.60 — or £0.58 including VAT — a month for the next million. All told, I reckon you may only incur an SNS charge if you send about 50,000 emails a month, and even then the cost is likely to be pennies (or cents). So there you go — a full real-life guide to the likely costs of your AWS account for Sendy. Trust me, you will not find any of this in a Sendy review on the Internet! Of course, some of these AWS costs will be dependent on how many emails you send. …your total annualised AWS bill would come to £0 + £46.40 + £19.01 + £2.88 = £68.30 including VAT (once your FREE tier comes to an end) . That looks cheap to me, especially as some of you may be paying close to that every month to the likes of MailChimp. …your total annualised AWS bill would come to £72.58 + £46.40 + £38.02 + £5.76 = £162.76 including VAT (once your FREE tier comes to an end). Please note that these costs are indicative only. In particular, you will incur extra charges if you send emails with attachments. All AWS services are sold in USD and the USD figures are shown with no further adjustment. The GBP figures have been translated at £1:$1.25, with VAT applied at 20%. AWS can bill you in GBP, which prevents non-sterling credit-card fees. No credit-card fees have been applied to the above GBP figures. Sendy Still Feels Fresh. And Amazing! Sendy still feels fresh. And amazing. I’m all for disrupting industries and email marketing always felt like it was supposed to be expensive or slow — I mean sending hundreds and thousands of emails can’t be cheap, right? It can and it is.